"Shazam!" $25.1 million ($35.9 million international). "Little," $15.5 million ($1.9 million international). "Hellboy," $12 million ($10.1 million international). "Pet Sematary," $10 million ($12.6 million international). "Dumbo," $9.2 million ($22 million international). "Captain Marvel," $8.6 million ($8 million international). "Us," $6.9 million ($4.4 million international). "After," $6.2 million ($11.7 million international). "Missing Link," $5.8 million ($8.9 million international). "The Best of Enemies," $2 million. "The Crimes That Bind," $4.4 million. 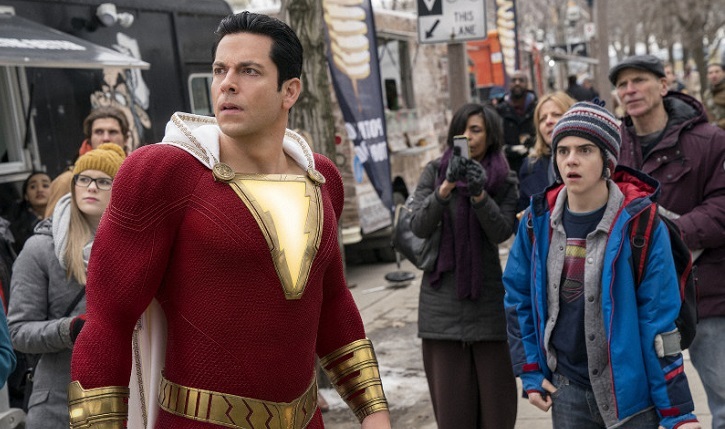 Is Shazam connected to the DC film universe?